Very nice people at front desk, excellent location. The restaurant next door has very good, imaginative tapas. The location was fabulous! Just steps from Plaza Meyor and smack in the middle of some great restaurants. Word of advice to other travelers - DONT eat at the seafood restaurant Mariscal on the plaza! It’s dreadful! Restaurant Bo is good. Great location in old part of the city,just off the Plaza leading I to the truly old original walled city. The location is perfect for exploring. Staff are very friendly. Apartments are more practical than hotel rooms. They provide a printed guide to the apartment in Spanish and English. The apartments are practically next to the main square in the very center of the city. The rooms are looking good! Location couldnt be better. Clean, everything in good condition, no noise, good complex with good restaurant next door. Everything was great. Super central location and very comfortable bed. Kitchen is a nice extra. 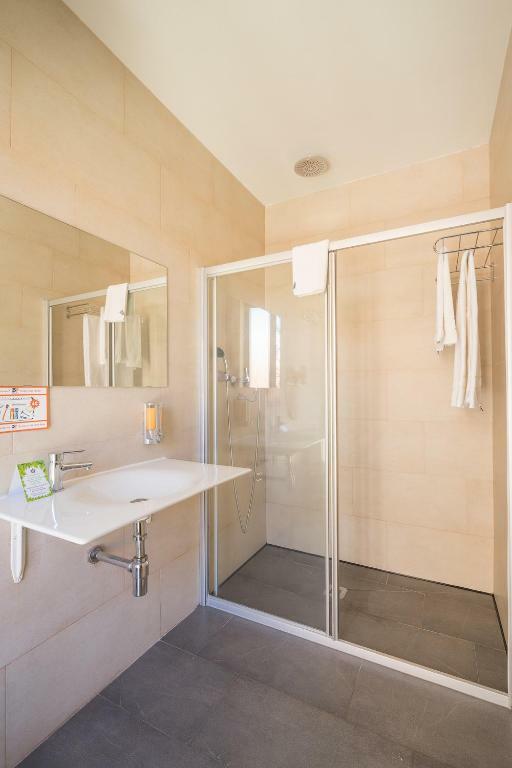 We selected the Baluart for a break on the Camino, based on location, aircon, wifi and value, scored very highly, plus the apartments were modern and spacious. 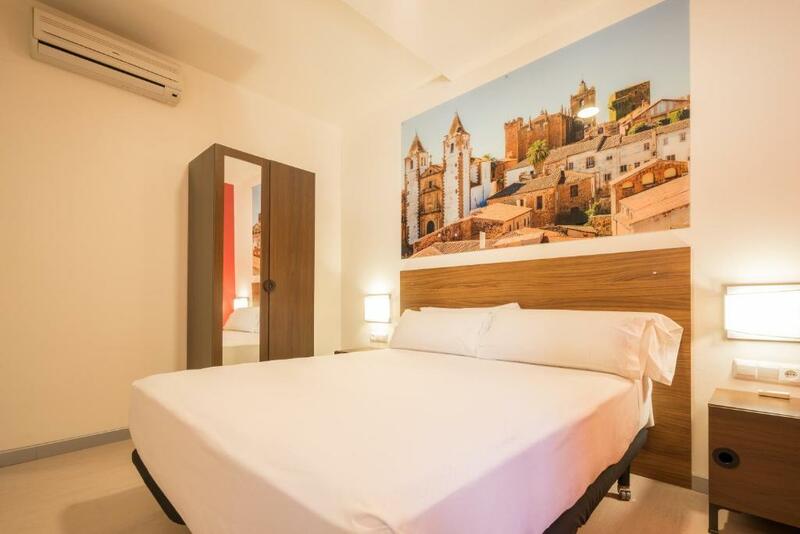 Caceres has a must see old city and this property is as close as you can get - surrounded by taperias and restaurants, very close to shopping. It was a pleasure to stay there. in the centre of everything shops bars restaurants and history. The reception staff were friendly & efficient. 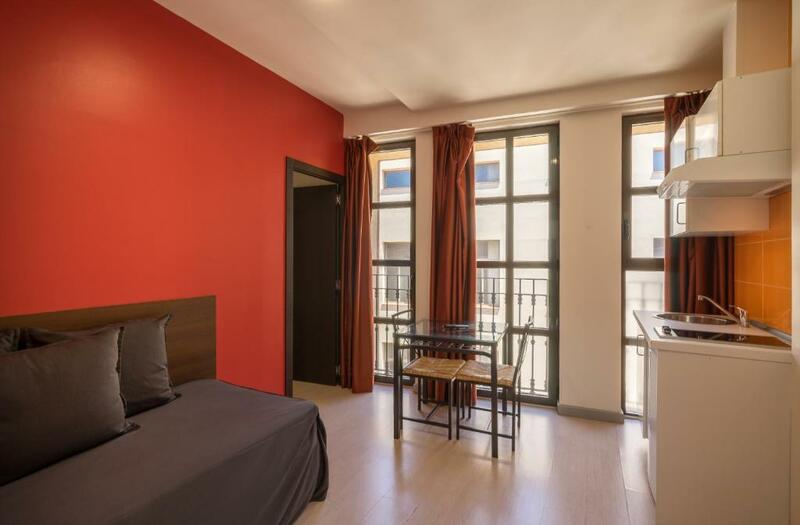 The apartment is in a great location, just off Plaza Mayor, Gran Via, the shopping streets & the Old Town. The apartment was very spacious, spotlessly clean, light, airy & very comfortable. The apartment was better than we expected from the web-site photos. We parked at the recommended Don Manuel secure car park & received a large discount by getting a stamp from reception. There is a supermarket round the corner and a large choice of bars / cafe's / restaurants a minute or two walk away. Despite being an apartment the room was cleaned daily. 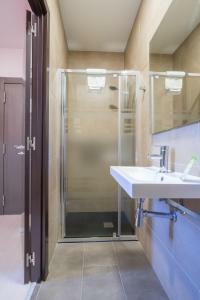 Lifts, shower, wi-fi, kitchen equipment etc all great, an excellent place to stay. 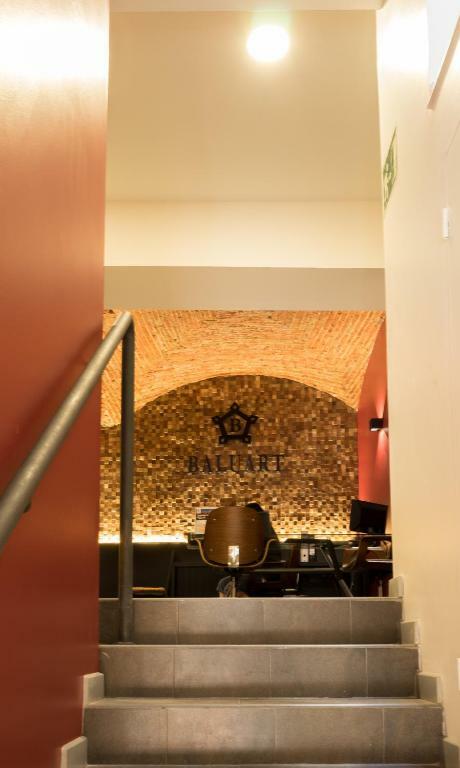 Lock in a great price for Baluart Apartments – rated 8.9 by recent guests! 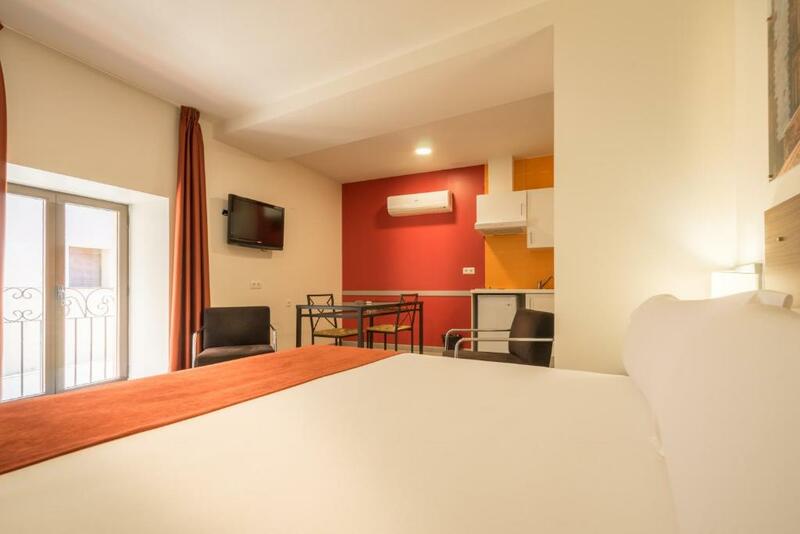 Baluart Apartments This rating is a reflection of how the property compares to the industry standard when it comes to price, facilities and services available. It's based on a self-evaluation by the property. Use this rating to help choose your stay! 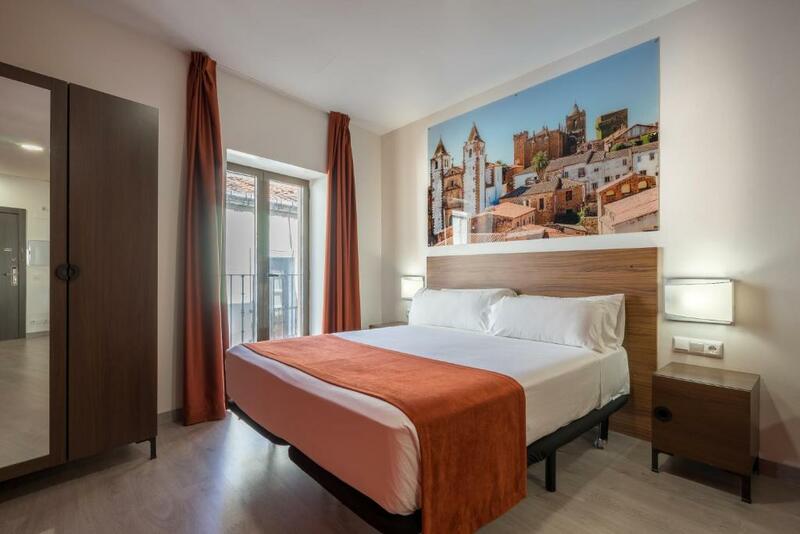 One of our top picks in Cáceres.These modern apartments are in the center of Cáceres, a World Heritage City. 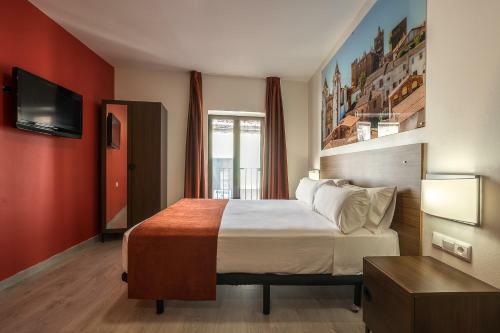 They are 150 feet from the Plaza Mayor, and 500 feet from the Medieval Old Town. Each air-conditioned apartment has modern décor with parquet floors. They feature free Wi-Fi and a living room with a 32-inch flat-screen TV. There is also a kitchenette and a dining table. 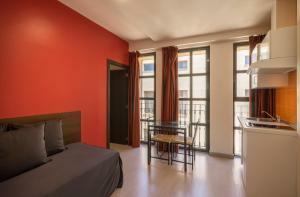 Apartamentos Baluart are located on a quiet pedestrian street. 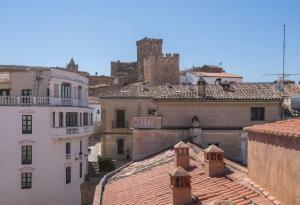 Cáceres Cathedral is 700 feet away, and there are many restaurants and bars in the surrounding streets. When would you like to stay at Baluart Apartments? This apartment features parquet flooring and includes 1 double bed, 2 single beds, and a modern bathroom with shower. The kitchenette includes kitchenware and is equipped with a vitroceramic hob, fridge and coffee maker. The studio also includes free Wi-Fi and a flat-screen TV. 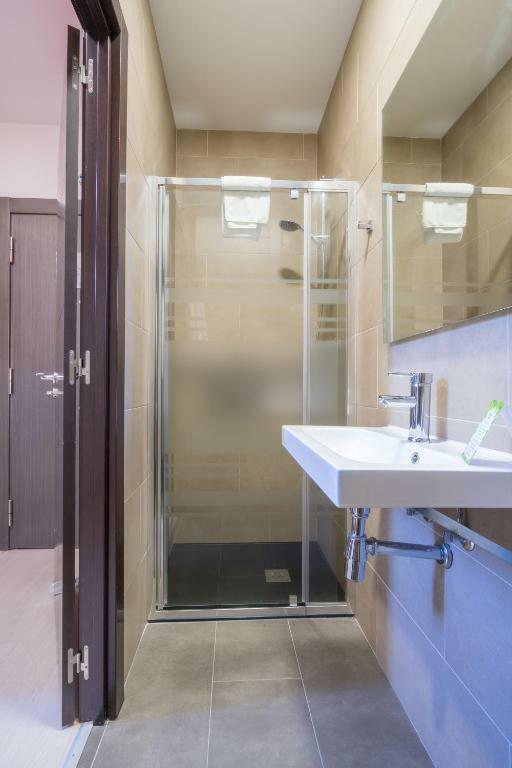 This apartment features parquet flooring and includes 1 double bed and a modern bathroom with shower. The kitchenette includes kitchenware and is equipped with a vitroceramic hob, fridge and coffee maker. The studio also includes free Wi-Fi and a flat-screen TV. This apartment features a soundproofing, private entrance and air conditioning. It includes 1 double bed. This apartment has a private entrance, air conditioning and soundproofing. Conoce la ciudad monumental de Cáceres, alojándote en pleno centro en cómodos y equipados Apartamentos Turísticos, son geniales, amplios, super cómodos y con una ubicación inmejorable. Soy una persona dinámica, abierta y siempre pensando en nuevos proyectos que me aporten buenas experiencias. Actualmente vivo en esta preciosa Cáceres. 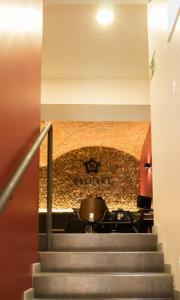 House Rules Baluart Apartments takes special requests – add in the next step! Baluart Apartments accepts these cards and reserves the right to temporarily hold an amount prior to arrival. Guests are kindly requested to inform the property in advance of their estimated time of arrival using the contact details found on the booking confirmation. Guests are also requested to contact the property at least 30 minutes prior to arrival, using the telephone number on the booking confirmation. The property's staff will then direct guests to the property. Please note that the property is on a small pedestrian street, on the corner of Calle Sánchez Garrido and Calle Pintores. Please note that reception hours are from 08:00 to 22:00. Please inform Baluart Apartments of your expected arrival time in advance. You can use the Special Requests box when booking, or contact the property directly using the contact details in your confirmation. The lighting is very white and a bit harsh. Small windows. Great to have a little kitchen. Large rooms. Comfy bed. Low slanted ceiling in our apartment caused a few bumped heads and one of the two showers had no hot water in the morning. It was difficult to find. Parking too far away especially when luggage is being carried. Room was OK but no where comfortable to sit as there was a single bed in kitchenette area. No kettle. The first apartment we moved in didn’t have hot water , but we were immediately transferred to the other apartment on the same floor. Problem was solved. The circuit breaker popped anytime we needed heat, which was all night. The door to the circuit breakers was defective, so I'm assuming this was an ongoing issue. It would have been nice to have had a heads-up on this. Of course, we discovered this issue when we got back into our room, which was after 8:00, and there was no one on duty in the lobby (The brochure said there was someone on duty until ten!). So I emailed the email address from the brochure, and 2 days later, still haven't heard from anyone. Key acquisition was fine. The rooms were nice. Small livimg area poorly designed, lacks charm, feels more like an institution than a home away from home. Our taxi driver did a great job, there were road works in adjacent plaza, p this property is right off Plaza Mayor which is pedestrianised. Map could have been better. My wife and I are not good walkers especially carrying bags /cases. Nearest parking was not easy to find and the apartment even more difficult to find.